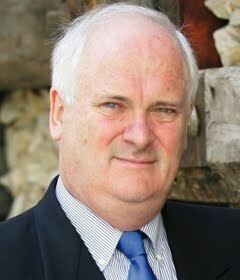 An American in Ireland: The crisis in Europe is thanks to Europe's "betters"
The crisis in Europe is thanks to Europe's "betters"
John Bruton, ex-Taoiseach (Irish Prime Minister) and ex-EU Ambassador to the United States and unwavering EU enthusiast is worried, really worried. Bruton fears that "we could lose, in five months, something it took over 50 years to create." Bruton is right, but if "we" do lose the 'European dream' it will be because "we" didn't create it; "they" did. The European Union as it exists today is a construct of people like Bruton drawn from all over Europe. People who turned a free trade area into an unaccountable, undemocratic superstate that neither sought nor wanted a mandate from the people of Europe. It didn't have to be this way. The EU as it was originally constructed was a loose confederation of democratic states. Then, just as the future for democracy in Europe looked brightest with the fall of the Soviet Union, Europe's elite decided it was time to go for broke and launch the superstate of their dreams. From there groupthink took over as the various national leaders bureaucratic chieftains in Brussels convinced each other that they were going in the right direction, that all would be well. A series of agreements between 1992 and 2007 enhanced the power of Brussels at the expense of the national governments, the biggest being the single currency. There was a mad rush to get a new agreement before the previous changes had time to settle. All the while the people of Europe, or rather the peoples of Europe, were dragged along, unconsulted. Now it's all hitting the fan. The Europhiles are discovering that the disparate peoples of Europe, with their different histories and cultures and distinctive national views on money and economics, have contradictory expectations of what should be done in the current crisis. The tensions are pulling the EU apart. It's hard to imagine the EU would survive if the euro disintegrated. While we're still a long way from war, it's no longer an impossibility. It's no wonder Bruton and his like are worried. They did this. It's their fault. There was no need to rush, no need to put at risk the nascent unity of the people of Europe. The cause of European unity and peace and prosperity would have been better served if the political elite had worked on getting the people of Europe to buy into their dream, to unifying them. It didn't happen. Europeans are much happier to defer to their "betters" than are Americans and their "betters" are used to be deferred to. Unfortunately, the "betters" have got it wrong. They built a massive structure on a foundation of sand and it's falling down. The "betters" are now pursuing the only option open to them - trying to spoof us into believing that they know what they're doing and all will be well. They don't and it won't.